We’re raising money for RESOLVE: The National Infertility Association. Heather and Brandon met one night at a dance club in downtown Cleveland, married in 2008, spent a few years as newly-weds, and then decided they wanted to start their family. They didn’t know how hard their journey was about to be. Anyone can be challenged to have a family. Together we can change the view of infertility. ORM is donating $1 for every Like and $5 for every Facebook Share (up to $5,000) of the Twincredibles video to RESOLVE: the National Infertility Association. Infertility affects one in eight couples, which can result in shame, guilt and overwhelming longing for something others have more easily: children. But sometimes you witness a beautiful story that leaves you filled with optimism and amazement. Heather and Brandon met at a dance club in Cleveland and then married in 2008, spent a few happy years together, bought a home, and then decided to start their family. “We both knew strongly that we wanted children. It was one of the first things we talked about and bonded over,” explains Heather. But they didn’t know how difficult their journey would be. After three years of trying to conceive on their own, they sought help from a fertility specialist. First, they tried intrauterine insemination (IUI), which involves placing sperm inside the uterus to increase the chances of conception. After three failed IUI attempts, they saw a new fertility specialist who diagnosed Heather with Stage 4 endometriosis. 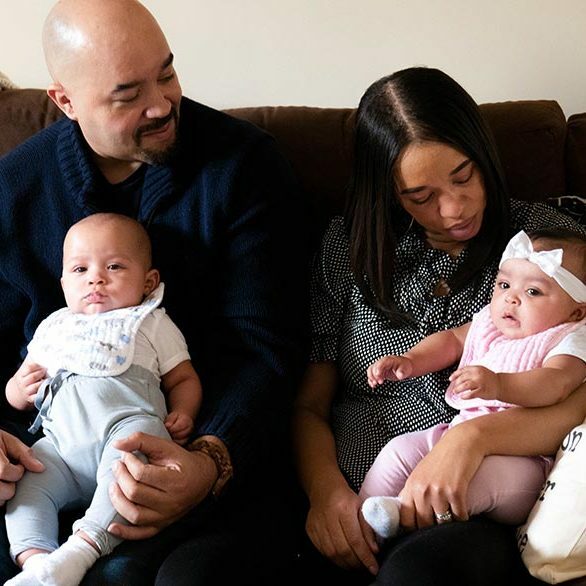 After two surgeries, they attempted four more IUIs before deciding to try in-vitro fertilization (IVF), in which the egg is fertilized outside of the body and the embryo is transferred into the uterus to be carried to term. Still no success. After 2 fertility specialists, 7 IUIs, 2 IVF procedures, 4 surgeries, and 10 years of failed attempts, Heather and Brandon fought to maintain hope. “I was overwhelmed with how something that was so simple for my family and friends had become the most complicated journey of my life,” says Heather. 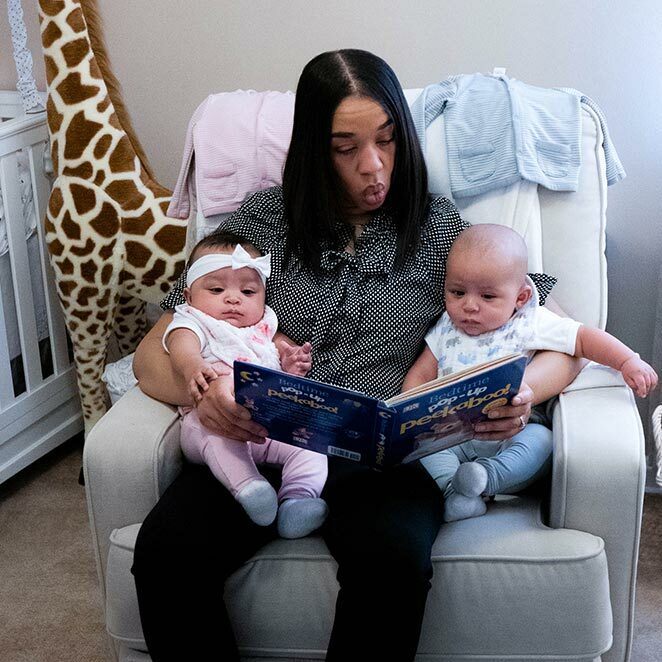 They came to ORM Fertility (ORM) in November 2017 through a Fertility Road magazine scholarship that would cover their treatment and give them another chance at making their dreams of parenthood come true. Dr. Elizabeth Barbieri, a reproductive endocrinologist and infertility specialist at ORM, went over their likelihood of success considering a variety of factors, and together they developed a plan. Due to Heather’s age and endometriosis, using her own eggs for their embryos was no longer an option that would bring them much success. Heather and Brandon started exploring egg donors through ORM’s large database of young women willing to share their fertility with loving families. Heather had her heart set on finding a donor who looked like her and reflected her ambition, outgoing personality and spirituality. Soon she received a call from ORM’s donor match specialist with exciting news: They had found a donor they thought Heather would truly connect with. “As soon as I saw her, I began to cry. She looked like me. She had a wonderful smile and so many goals that were similar to the ones I had at her age. She is a selfless giver, adventurous, determined to educate herself and persistent. As I read her application, I said to myself, ‘I have found my match!’” shares Heather. In February 2018, Heather had two embryos transferred into her uterus. After a day of rest and a flight back to Cleveland, they waited a long two weeks to learn whether the transfer was successful. But once the wait was over, they couldn’t believe the results. Heather was pregnant—with twins! Although the use of donor eggs and genetic testing can dramatically increase the likelihood of success, multiple rounds of fertility treatments are sometimes still needed to conceive a successful pregnancy. Heather and Brandon’s journey ended on a high note, but they’ll be the first to tell you that there were many lows. 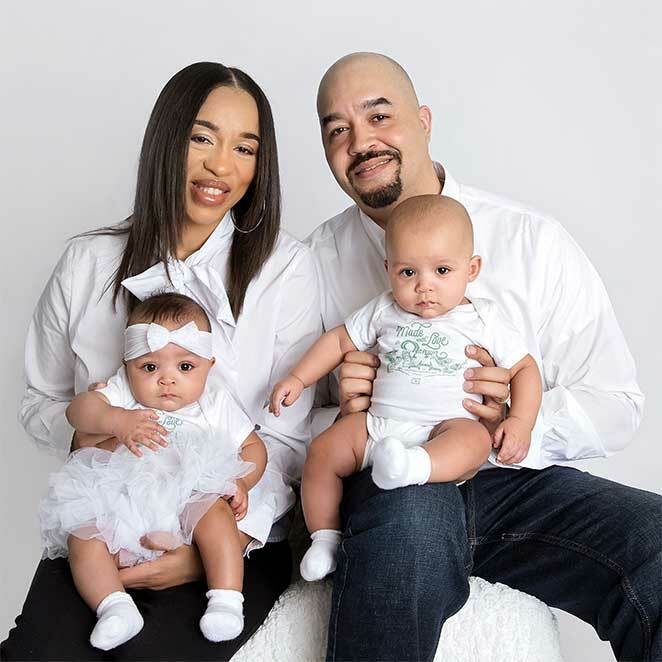 Today they are advocates for fertility treatment insurance coverage and offer encouraging words to others who are struggling with infertility. Infertility doesn’t discriminate. Together we can change the view of infertility. ORM is donating $1 for every Like and $5 for every Facebook Share of the Twincredibles video to Resolve: the National Infertility Association.